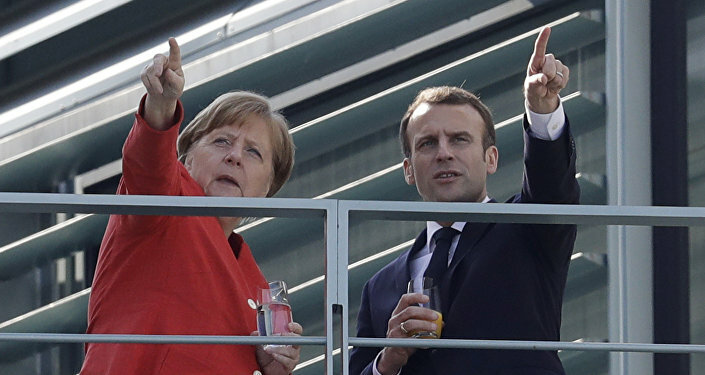 Earlier, Chancellor Merkel and French President Emmanuel Macron pledged to continue supporting Franco-German efforts to strengthen a "sovereign Europe" amid concerns that the European Union was at a "crossroads" regarding its future role in the world. Angela Merkel has urged European Union members to give up more of their sovereignty to EU institutions, Die Welt has reported. "Today, nation states should, I would say must – be prepared to give up their sovereignty," Merkel said, speaking an event organized by the Konrad Adenauer Foundation in Berlin on Wednesday devoted to the topic of 'Parliamentarism Between Globalism and National Sovereignty'. "But of course in an orderly manner," the chancellor added. National parliaments must play the key role in making such concessions for the greater good, she said. Earlier this month, Merkel warned against what she described as the spread of "blinkered nationalism," accusing some politicians, both in Germany and abroad, of "believing that they can solve everything on their own and have to think only of themselves. This is nationalism in its purest form. This is not patriotism," she said. Merkel, who recently decided to step down as head of the Christian Democratic Union, also defended her policy on immigration, which opponents have described as an open door migration policy, in her earlier comments. "It is in our national interest to ensure that the global conditions for refugees on the one hand, and migrants seeking work on the other, are improved," she stressed. Merkel's sovereignty comments follow remarks by French President Emmanuel Macron on Sunday. In a speech following a meeting with the chancellor, Macron spoke of a "Franco-German responsibility in preparing for the future and the re-founding of Europe." This responsibility "means building something, building a truly sovereign Europe and building a strong European Union on this sovereignty," Macron said. Earlier this month, the French president also proposed the creation of a 'European Army', which he said would defend against Russia, China and even the United States.